UNITED NATIONS Italy and The Netherlands proposed on Tuesday splitting a two-year term on the United Nations Security Council after the U.N. General Assembly was deadlocked on which to choose following five rounds of voting for the final 2017/18 seat. The 193-member General Assembly elected Sweden, Kazakhstan, Ethiopia and Bolivia on Tuesday to replace Angola, Malaysia, New Zealand, Spain and Venezuela on the council from Jan. 1, 2017. The Netherlands and Italy were tied with 95 votes each. Countries need more than two-thirds of the vote to win a seat. Italy and The Netherlands are competing for a seat belonging to the “Western European and Others” regional group, which is due to meet on Wednesday to approve splitting the term. The General Assembly would then need to vote in favor of the action. “It will be an honor for Italy to serve in the Security Council in 2017 and to cooperate with The Netherlands serving in 2018,” Gentiloni told the General Assembly. Dutch Foreign Minister Bert Koenders said it was important to show unity during a complex time for Europe. 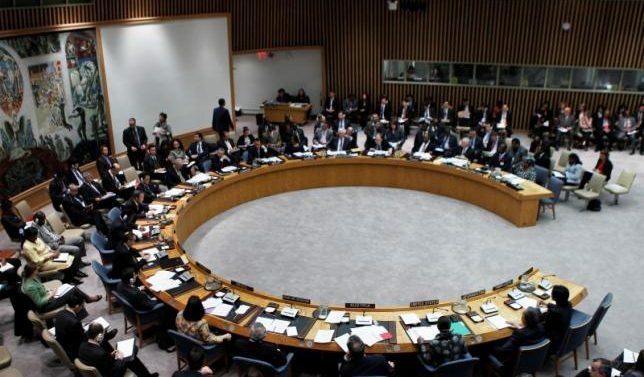 According to Security Council Report, a New York-based research group, it was common in the 1950s and 1960s for countries to split terms on the Security Council. The council is made up of 10 elected members – five voted on each year and five permanent veto-powers that include the United States, Britain, France, China and Russia. The council is the only U.N. body that can make legally binding decisions.